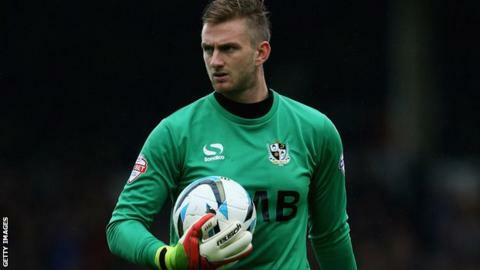 Goalkeeper Chris Neal says the lure of first-team football was key to him moving to Doncaster Rovers from Port Vale on transfer deadline day. The 30-year-old joined Rovers on a 28-day loan and could go straight into the side for Tuesday's League One home match with Walsall. Neal told BBC Radio Sheffield: "I need to get out and play some games. "My contract is up at the end of the season, so it is important as a goalkeeper to be playing." Doncaster, who also allowed defender Gary MacKenzie to join Notts County on loan, are currently 16th in the table and eight points adrift of the play-off places. "I think it is a fantastic squad here," added Neal. "This month coming up is an important month. "If you look at the fixtures coming up, they are all teams in and around us. "With some good points this month there is no reason why we can't be pushing towards those play-off places. "As a goalkeeper it is hard to be sat on the bench for four or five months, so to get some regular football is what everyone wants."